Cotter Moving has a reputation for safe, careful and economical moves. Our storage facilities are Safe, Organized and Affordable! Your personal possessions are priceless. To both of us. Our modern equipment ensures you get the safest, most secure move possible. If you need storage at either end of your move we can help in that area, too. 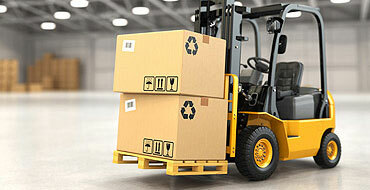 Whether you want full service or just partial packing of fragile items, our team is there to help. Standard and Full Value Protection is available for you to choose from. We can create a made-to-order crate or provide shipping containers to ship internationally. You keep only your current files, we’ll keep the rest, allowing you to improve your office efficiency. We guarantee the price we quote will be the price you pay. And, we guarantee the day we say your furniture will arrive will be the day of delivery. Call us with any moving or storage need. Or, click on the button below to get started on a free quote!